Palatine Park District’s employee-run Service Committee continues to make a difference in the Palatine community with their annual Breakfast of Champions Food Drive. While all non-perishable items are welcome, the committee selected the Breakfast of Champions theme to help focus on a healthy way to start the day. For individual facility hours of operation, select one of the above locations from the Facilities tab. Items collected at each facility will be donated to the Palatine Township Food Pantry. The District’s Service Committee was formed six years ago with the mission of providing a variety of service opportunities to both staff members and the community throughout the year. A few of the committee’s projects have included assisting with environmental cleanup events, hosting drives for food, pets, Easter baskets, holiday gifts, and books, creating valentines for veterans for National Day of Service, and serving at Feed My Starving Children. For more information about the Breakfast of Champions Food Drive, contact Palatine Park District Receptionist Lisa Allie at 847.991.0333 or lallie@palatineparks.org. 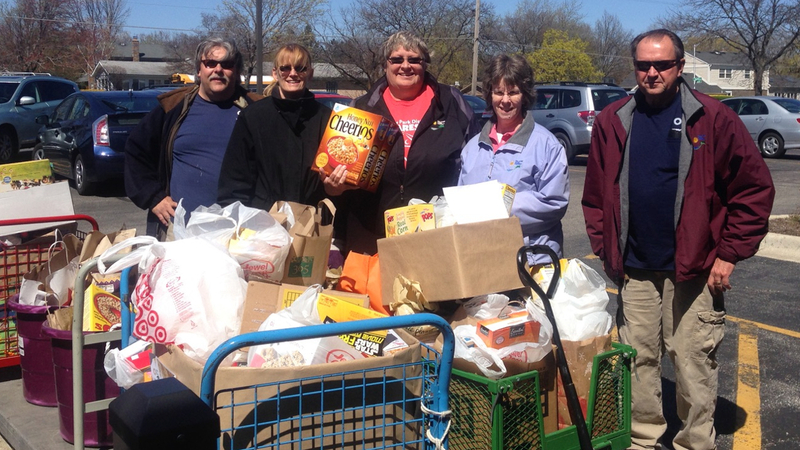 The Breakfast of Champions Food Drive is organized by the Palatine Park District Staff Service Committee. For more information about the committee, contact Committee Chair and Volunteer Coordinator Alissa DePue at 847.496.6212 or adepue@palatineparks.org.